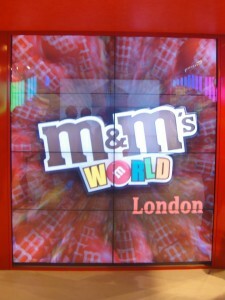 Protective LCD housings & Digital signage. We manufacture a range of protective LCD enclosures that are uses to protect the investment in the hardware. 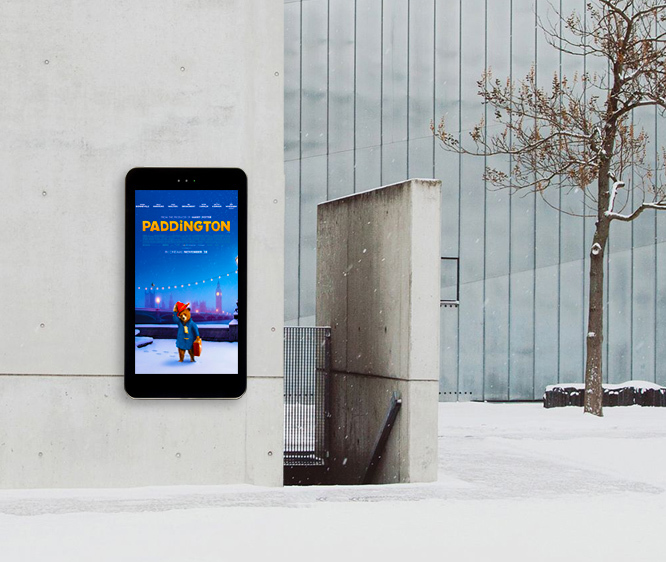 A recent addition to our portfolio is our outdoor projector enclosure as well as a wide variety of digital signage hardware for both indoor and outdoor applications. anti ligature TV enclosures More on anti ligature TV enclosures here. 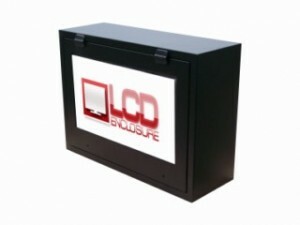 Anti vandal LCD enclosure, provides all the necessary protection for any outdoor digital advertising solution hardware. Also available in portrait as well as landscape for screens 17″ to 65″ and dual enclosures. Wall mounted electronic signage that displays digital content from 26″ up to 80″, ads can be updated manually or using the Internet. These electronic signs can be interactive or none touch and can be used in applications such as hotels, restaurants where client engagement is required or customers can acquire more information from the facility. Available in sizes 30″ to 85″, in either Android or Windows operating systems, enabling remote content updates. Floor standing digital posters in sizes from 32″ to 80″ network enabled or standalone. These free standing signs are perfect for indoor use, these are sleek and eye catching as well as offering effective marketing solutions. Used in government buildings and corporate offices, to provide information. These are used in any high footfall areas such as hotels and restaurants to provide an engaging customer experience, having supplied several major hotel chains such as IHG and Marriott hotels. Portrait Flat Panel LCD Housing. Complete digital advertising totems in various sizes from 32″ to 65″. Digital totems are also available with sunlight readable displays so they can be seen even in direct sunlight. These signs provide a perfect solution for malls, when standing people need to engage and gather further information. Proenc’s sunlight readable display enclosures are available for displays 40″ to 75″, ideal for outdoor digital advertising solutions. Tiled video wall in a variety of sizes and in portrait position, with the bezel size reducing to a tiny 1/16″ of an inch, the new video wall displays provide what appears to be a seamless LCD video wall and can be tiled in any combination depending on what the client wants to acheive. Outdoor digital menu board protection for screens 40″ to 60″, usually for sunlight bright displays in drive thru’s. Providing menu information to customers at the QSR (Quick Serve Restaurant). We manufacture a vast range of protective LCD enclosures solutions, including monitor enclosures, plasma enclosures and portrait flat panel enclosure solutions as well as supplying digital posters, digital menu boards for QSR’s and even video walls. You can also checkout ProEnc enclosures YouTube page for updated products and offers. We have just launched our new outdoor projector enclosure that can be seen here. We have a vast knowledge and experience in manufacturing LCD enclosures and their other range of solutions. To discuss a project contact them on (862) 234-5981.